These Washington DC Engagement photos were taken on a lovely fall day! With all of the beautiful architecture that Washington DC has to offer, the city is a wonderful place to take engagement photos! 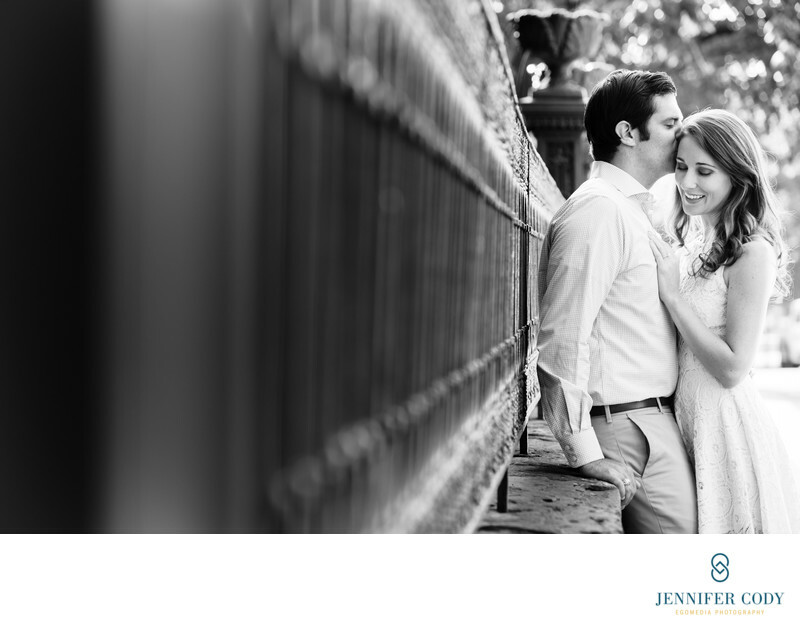 A Washington DC engagement session can take place in any one of the many great neighborhoods in the district. Every neighborhood has its own unique personality and every couple is unique as well! Engagement sessions are a great way to get lovely photographs of the two of you as a couple, and give yourself a chance to get to know your photographer! Many couples also use the images for save the dates, a wedding website, and for display at their wedding reception. I offer two options for DC engagement photos. I have a mini engagement session option which offers an hour of portrait photography in Old Town Alexandria. I also offer a longer, two hour session which can take place anywhere in the DC area. Both sessions will provide you with beautiful pre-wedding portraits, so it's really your decision on which is the best fit! With the longer two hour session, you will have a chance to change into a different outfit if desired. The one hour session is more limited with time constraints, so most clients stick to one outfit. All of the edited images are ready for you to share with friends and family within a few weeks of the engagement session! Location: 1703 32nd St NW, Washington, DC 20007.